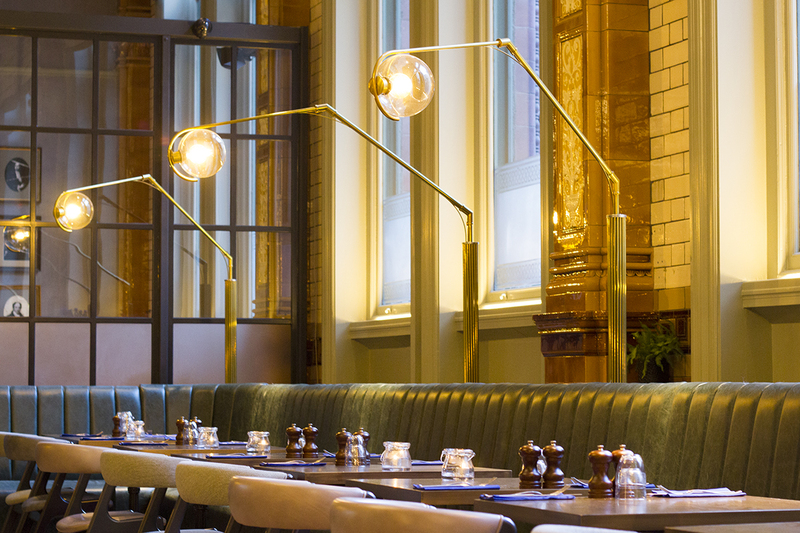 I have to admit, I’d never step foot in the old Palace Hotel before its revamp, which now includes a huge dining space on the ground floor of the building. With the owners being famed for their small and intimate dining successes, Volta and Electrik, everyone was very skeptical that they could make such a cavernous space work with Refuge by Volta. It’s quite a grand setting and I’d already heard glowing reviews from my friends, so I decided to pick it for the next dinner date with my friend Ros. We’re quite the food critics these days, so it was the perfect choice! I don’t want to say the words ‘industrial chic’ but I just did. 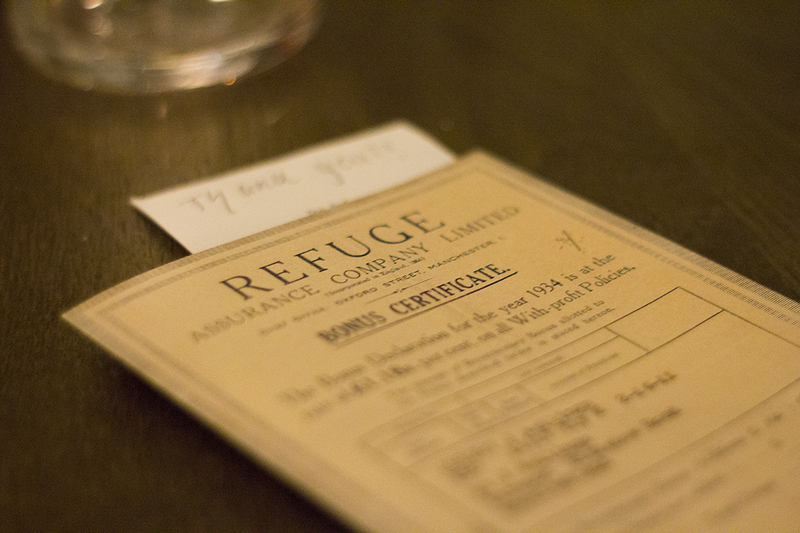 The interior of Refuge is incredible, but not in a pretentious kind of way. They could have easily made this a grand, formal dress only venue, but instead you’re greeted by a bright sign stating ‘come as you are’ at the entrance. Still got your gym kit on? Thinking of bringing the kids along for Sunday lunch? Embracing ‘casual Friday’ at work? That’s fine, these guys don’t mind! You won’t get told off by the bouncer because your shoes aren’t shiny enough. I feel like that’s an important part of who we are as Mancunians and I love that Refuge embrace it. 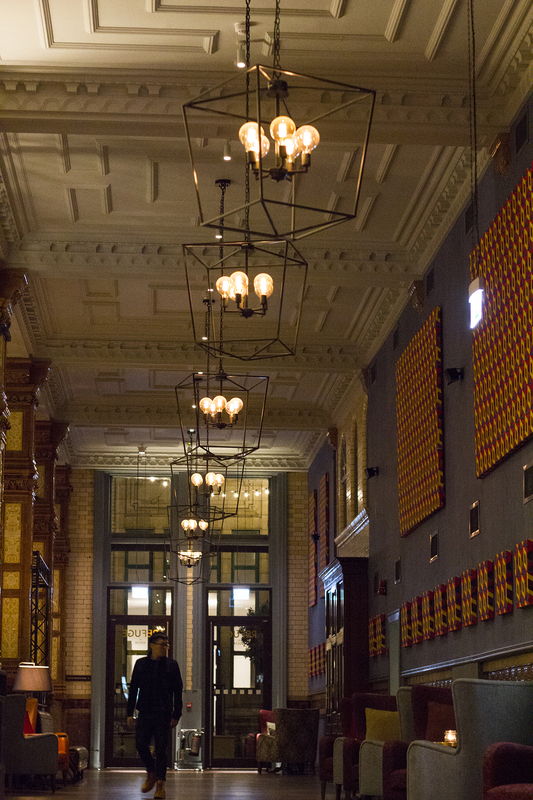 Anyway, once you enter the building, you’ll be wowed. 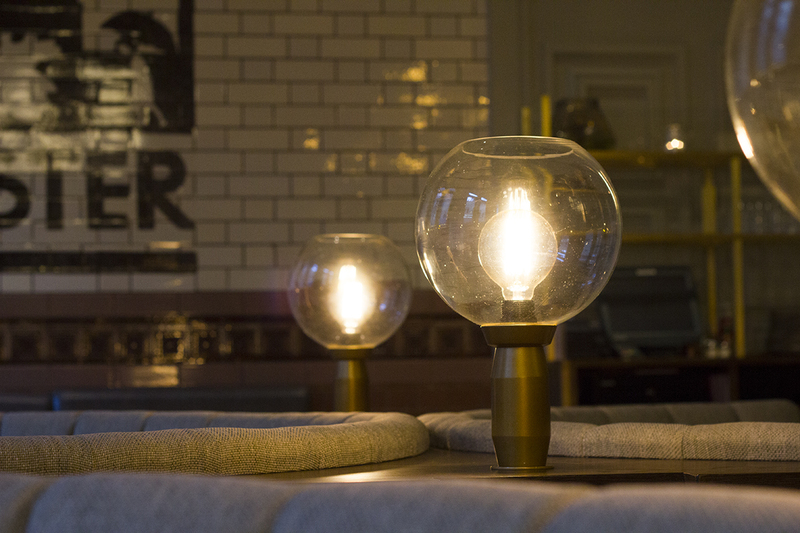 Original features are enhanced by edgy light fittings and cosy booths and chairs. It all feels really familar and comfortable, so you can cosy up and focus on enjoying your evening without distractions. 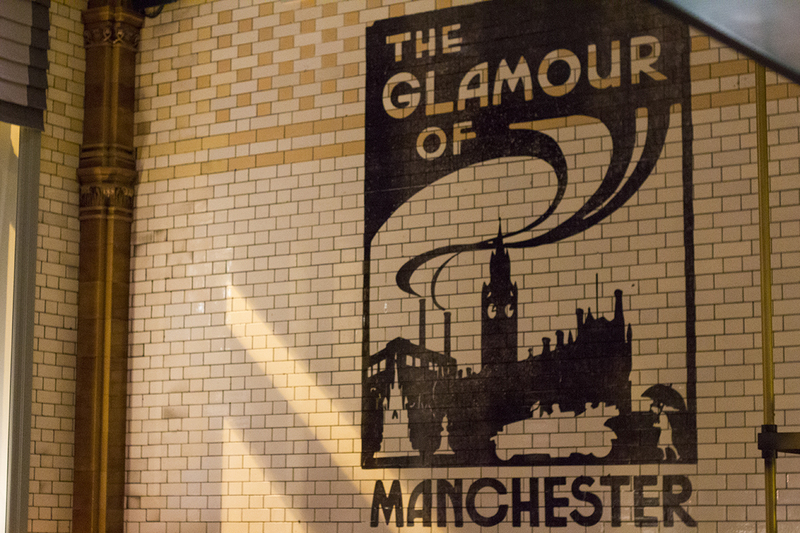 Although that huge ‘The Glamour of Manchester’ mural is pretty distracting at first. What a beauty. The evening dinner menu is made up of several sections, but we stuck to the ‘Voltini’, which are small plates inspired by Volta’s travels. I find small plates are perfect for making sure you can try as much of the menu as possible and also great for people like me who are terrible at making decisions! Obviously the Raw section was off the cards, as Ros is currently pregnant, but that didn’t mean we had limited choices. Far from it. 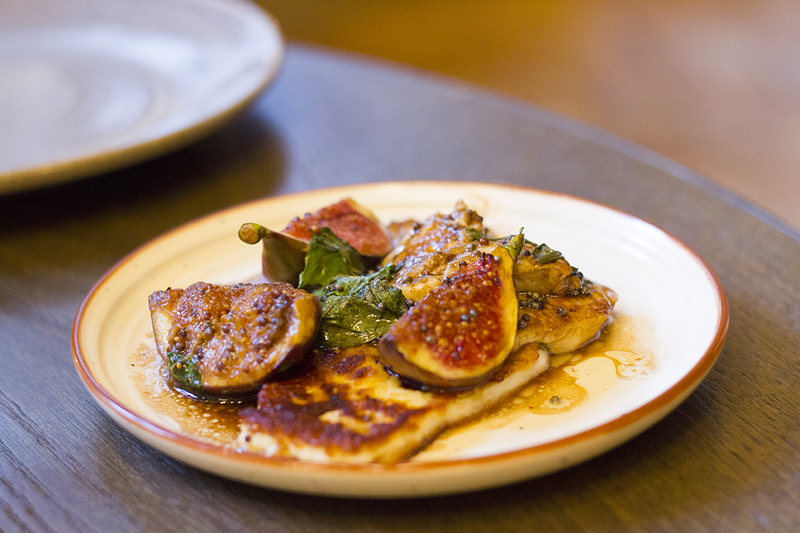 Halloumi is safe for pregnancy, so she went for the halloumi & figs (£6.50). I’ve never tried figs before but they were absolutely beautiful and full of flavour. The combination worked really well and it was such a great veggie-friendly option too. 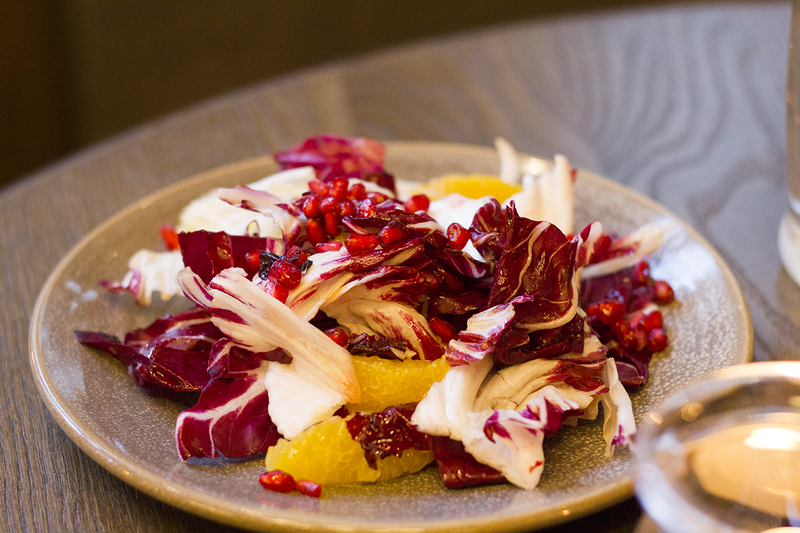 Next up, Ros went for a radicchio and orange salad, which was sprinkled with pomegranate (£6.00). We definitely had to google ‘radicchio’ (common theme of the night) but it was a stunning dish. Ros has a major sweet tooth at the moment, so a sweet-tasting salad was right up her street! It looked beautiful too. 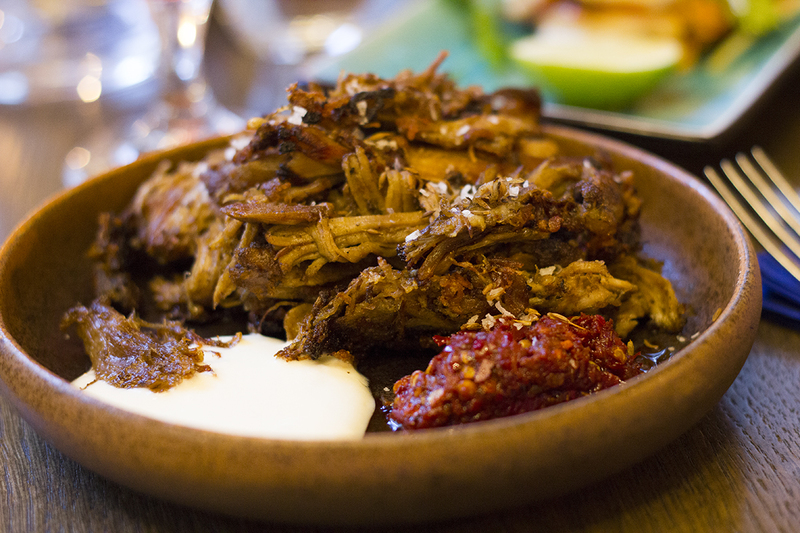 I was under strict orders by my friend Jade to order the crispy lamb shawarma with harissa and yoghurt (£8.00). The girl knows her food, so I obliged and was not disappointed. It’s not the most pretty of dishes, but the meat is a mixture of crispy and tender and dotted with chunks of salt. I wasn’t very good at sharing this one, so you know it must have been tasty. 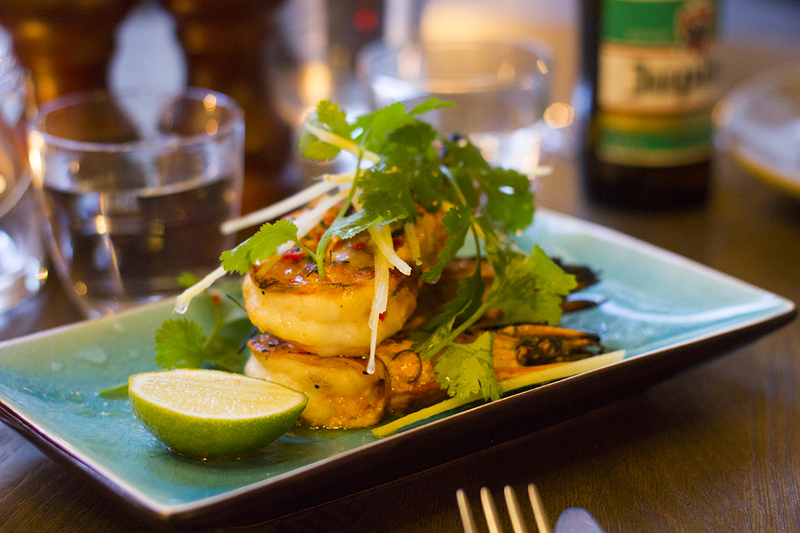 As far as visually appealing dishes go, the tiger prawns with chilli & lime butter (£10.00) were a 10/10. 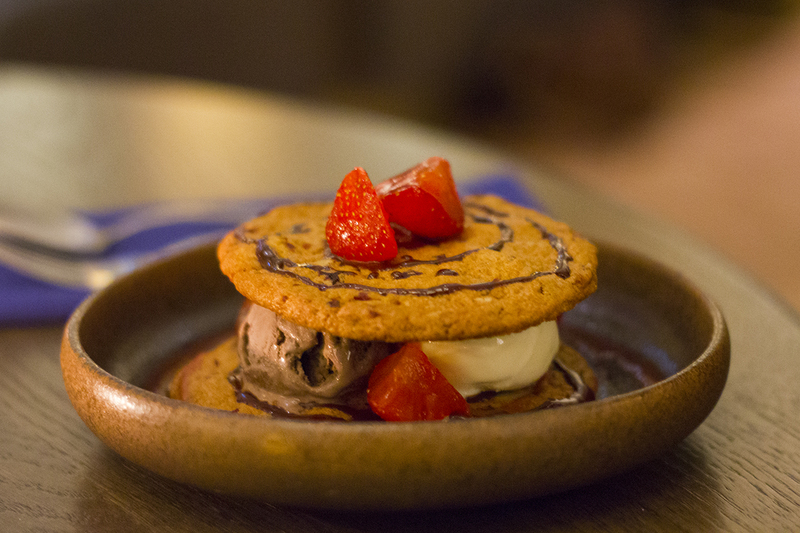 Chunky, full of flavour and very hard to share between two people. The only downside here is the price, as you can see our bill was slowly mounting up to quite a lot! Since the restaurant were all out of Serrano ham (booo! 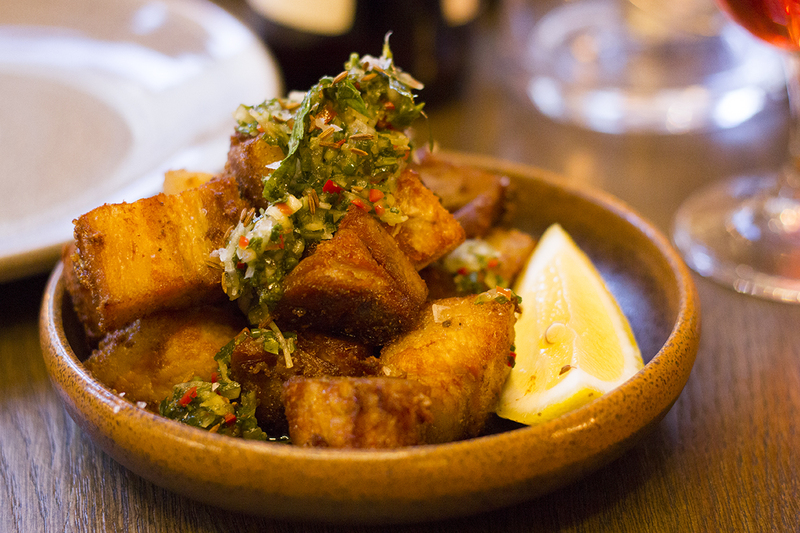 ), I had to give that a miss and instead opted for the Gloucester Old Spot pork belly with chimichurri (£7.00). If anything, there was too much on my plate with this one, although I suspect that’s because I’d already devoured the crispy lamb at this point. Pork belly can sometimes be a bit chewy, but this was cooked to perfection. Not too crispy and not too soggy or chewy. We’re just not the type of girls to miss out on pudding and to be honest, we were still a bit peckish after the small plates! We were going to go for the old fashioned chocolate fondue to share (£15.00) but for some odd reason, I talked Ros out of it. What an idiot. Ros went for the Volta ice cream sandwich (£6.50) as a replacement for the chocolate fondue I’m sure she could’ve wolfed down solo. This one was tasty but a little difficult to eat. The cookies were rock solid so nearly impossible to eat sensibly with a spoon or fork. Make sure you’re cool with eating with your hands if you order this one. Overall, we both had a really enjoyable experience at Refuge. The atmosphere is really relaxed considering how incredible the venue is and we both loved the food. I only wish it was a little more reasonably priced, as multiple small plates can add up to one pricey bill at the end, even when you’re not having wine with the meal. 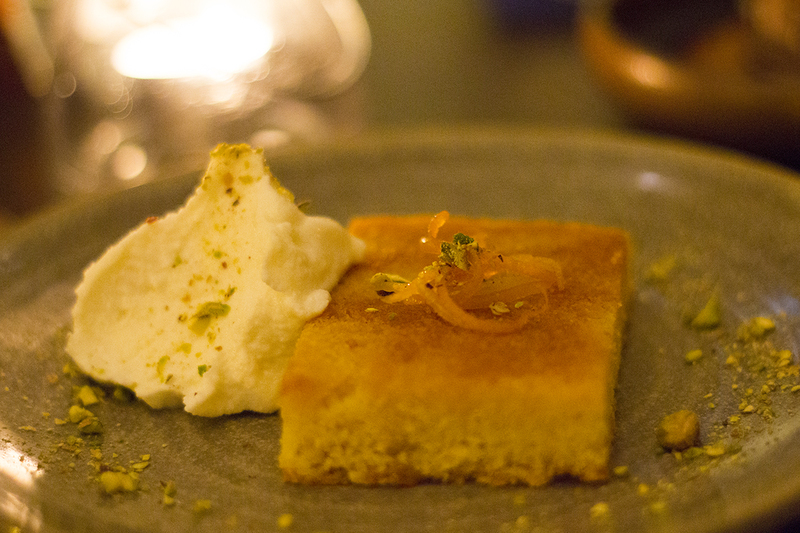 If you’re looking for more restaurants in Manchester to eat at, check out my food section, which contains lots of foodie inspiration and reviews for your next meal out. 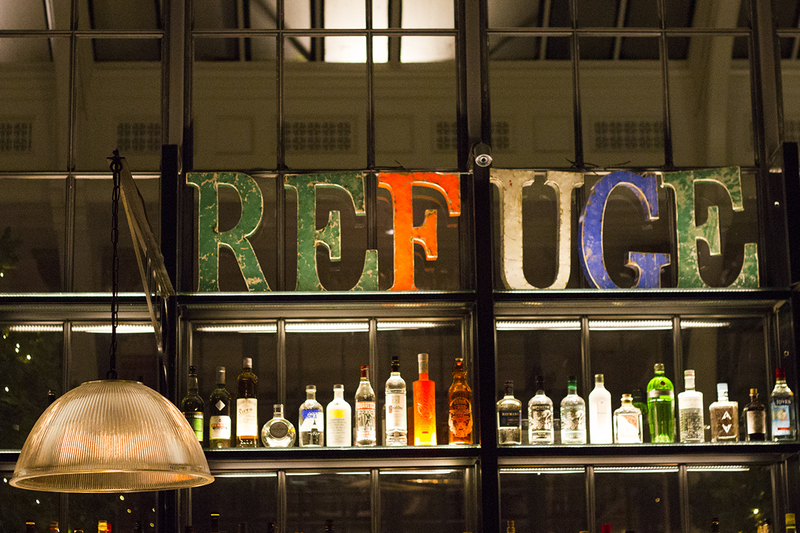 Have you visited Refuge by Volta yet? Let me know what your favourite dishes were! If not, check out their full menu on their website here.